Catch all of the festive feelings with our favorite Williams Sonoma products of the fall and winter season. 'Tis the season for holiday catalogs, and nothing makes us want to deck the halls quite like the new product offerings from Williams Sonoma. The renowned home brand is known for their seasonal finds—gourmet fare and professional-quality cookware included—and this year definitely doesn't disappoint. This trio of tartan spatulas looks best when peeking out of a Christmas stocking or when covered in homemade sugar cookie batter. The silicone heads are heat resistant, making the set an ideal choice for mixing, blending, folding or stovetop cooking. To buy: $28 for 3; williams-sonoma.com. Nothing is sweeter than this 3-pack of jumbo chocolate-covered marshmallows. 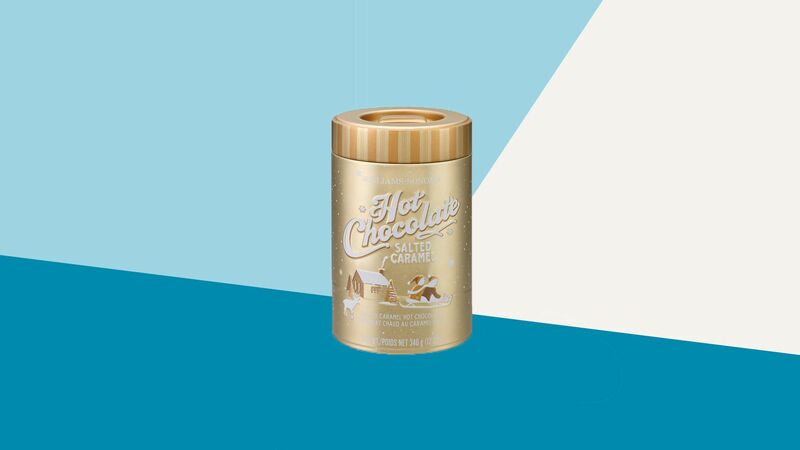 The festive treat is made with fragrant vanilla and cloaked in crunchy peppermint, making it the perfect addition to a steaming mug of hot chocolate. 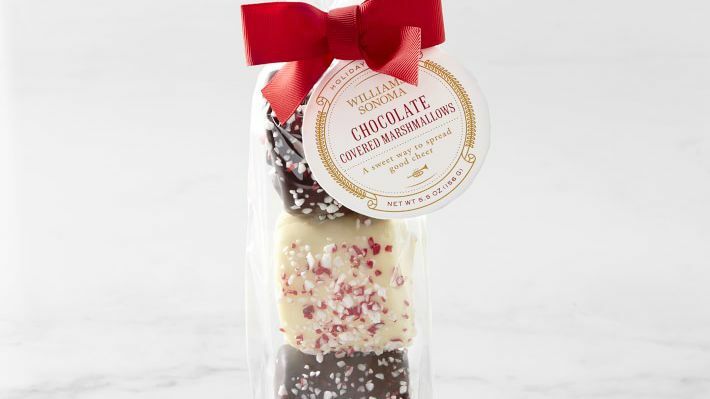 To buy: $10 per pack; williams-sonoma.com. Roast veggies or whip up your go-to lasagna in this durable stoneware baker. 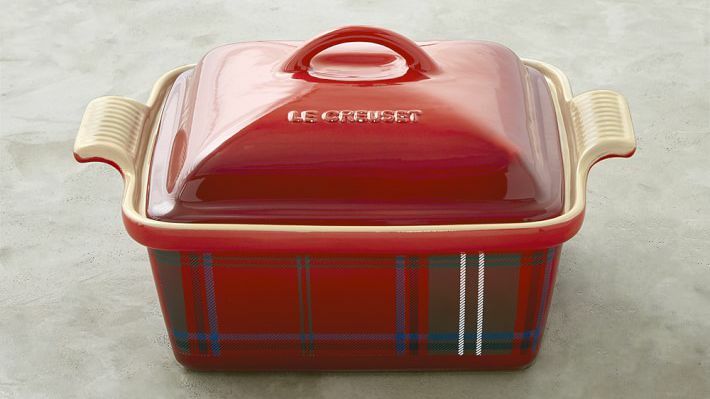 The vibrant tartan exterior makes the baker a perfect addition to any holiday tablescape, and the square dish will hold up in an oven, broiler, freezer or microwave. There's a reason this edible mainstay has remained a hit treat at Williams Sonoma for the past 20 years. The cult-favorite peppermint bark is still sold solely during the holidays, however this year, the boxed tin can be personalized, and additional flavors include dark chocolate and salted bark. 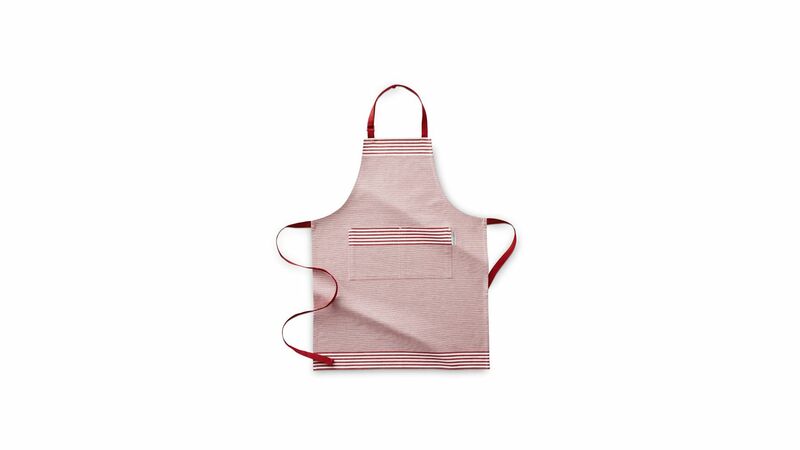 To buy: from $39; williams-sonoma.com. Avoid the inevitable splashes and spills that come with baking Christmas cookies with a red and white apron that's as flattering as it is functional. 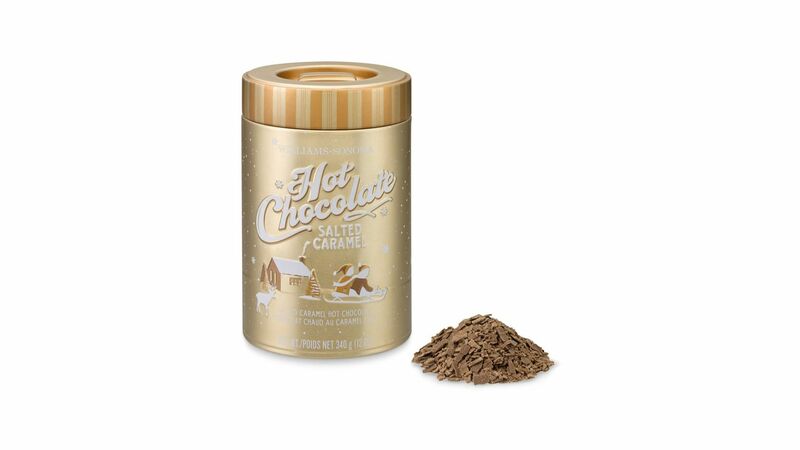 Heat up a cup of cocoa that's anything but expected with this salted caramel hot chocolate mix. One container makes approximately 8 cups of the sweet treat, and when topped with a bow, the box makes for an affordable gift. To buy: from $20; williams-sonoma.com. 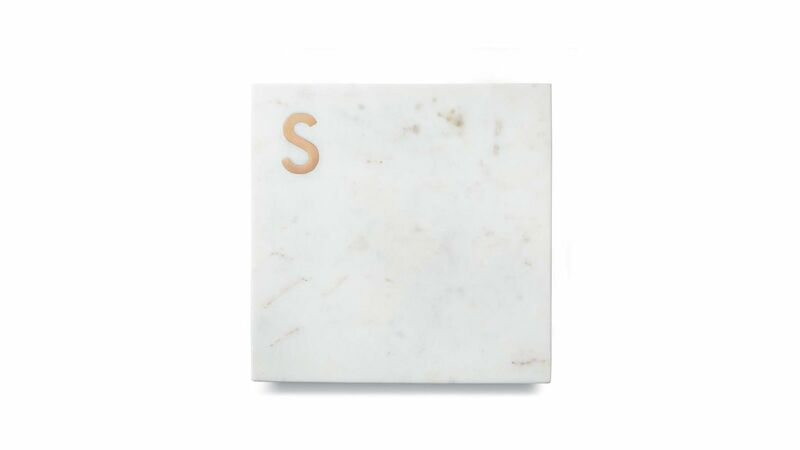 Show off your hosting skills with a monogrammed cheese board that won't break the bank at just $32. Party guests will be impressed with your cheddar-arranging abilities, and the marble board pairs well with just about any knife set. 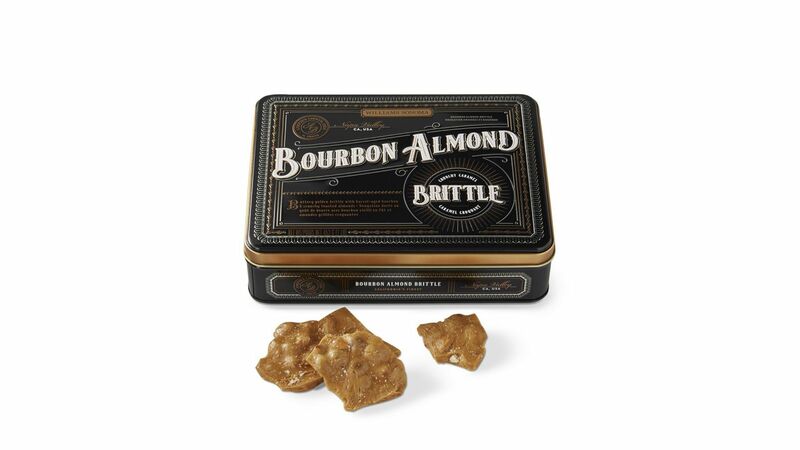 Barrel-aged Kentucky bourbon and California almonds come together to create this buttery golden brittle. Enjoy the brittle on its own, crumble it over ice cream, or gift it to a fellow candy-loving friend.